At South-East of Australia there are Sandstone blocks called the "tears of virgin". It is an unique geological formation due to the symbiotic relationship between crustaceans and bacteria. To understand this relationship Buckeridge surveyed the site and analyzed the samples in his laboratory. 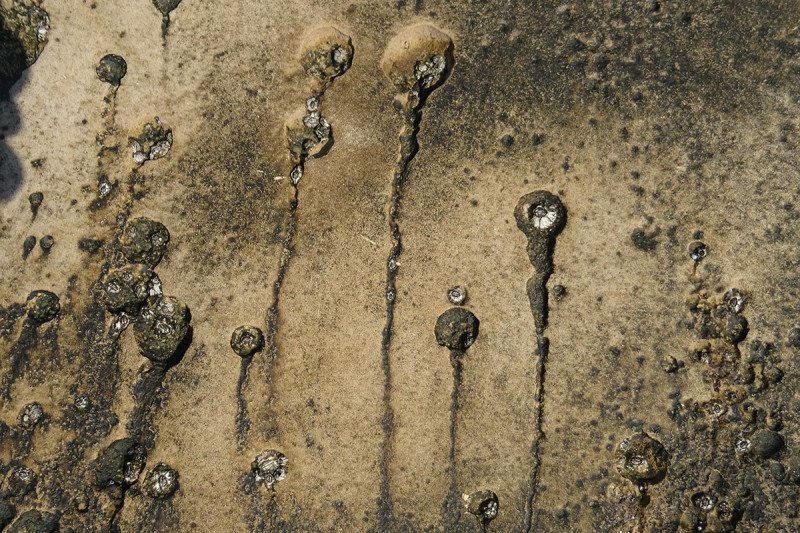 In a collaboration with Bill Newman from Scripps Institution of Oceanography, California together found that barnacles (Chthamalus antennatus) are surrounded by cyanobacteria (photosynthesizing bacteria) which feed on their nitrogenious waste. This resulted in rounded eye from which tears seem to fall. In return, cyanobacteria excrete organic acids which is the major component of sandstone. The burrows created protect the barnacles from sun's heat and materials thrown by thrashing water. The characteristic tears are formed by the cyanobacterial population surrounding the acid dribble on the surface of the rock. The grooves are about 17cm long. Researchers suggest that this symbiotic relationship have started with opportunistic partnership. It was long been unknown what these "tears of virgin" and who named it. The furrow seem to be there for decades. The findings were presented at Integrative Zoology.